Details Potter's pink is a lightfast, semitransparent, moderately staining, dark valued, moderately subdued red pigment. Historically used since the 18th century as a watercolor pigment, under the name "pinkcolor." Potter's pink was invented by an unknown Staffordshire potter in about 1780. Winsor & Newton introduced it as a watercolor paint in the 19th century under the name "pinkcolor." The Colour Index lists a chrome aluminum stannate pigment as Pigment Red 233 (77301). 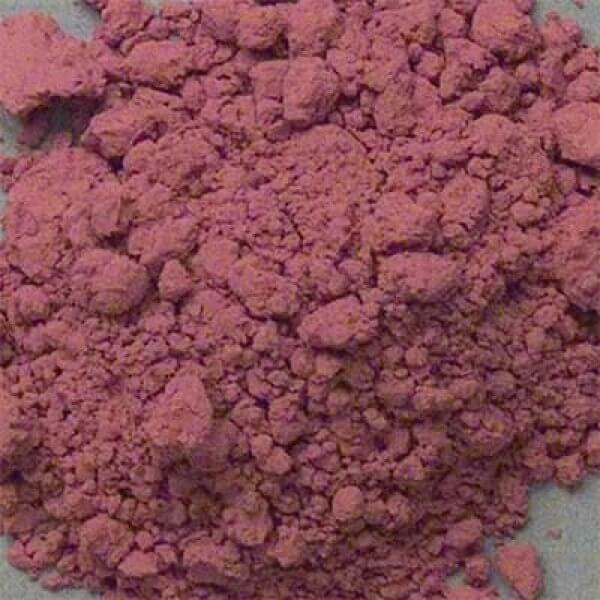 This pigment is manufactured by BASF (Germany) under the tradename Sicocer F Pink. 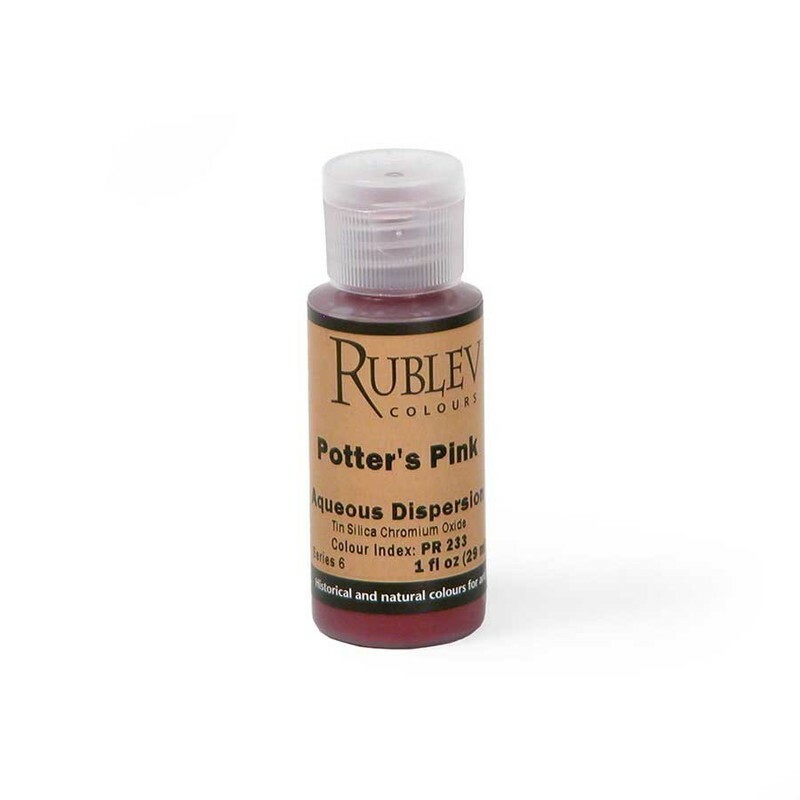 Rublev potter's pink is made according to the original recipe for the ceramic pigment. Although unrated by ASTM International, the composition and prior use of potter's pink plausibly puts it in the excellent lightfastness category (I). It is compatible with all pigments and in all vehicles. Potter's pink absorbs a medium amount of oil (- g oil per 100 g of pigment). Potter's pink is not considered to be toxic, however, care should be used in handling the dry powder pigment to avoid breathing the dust.